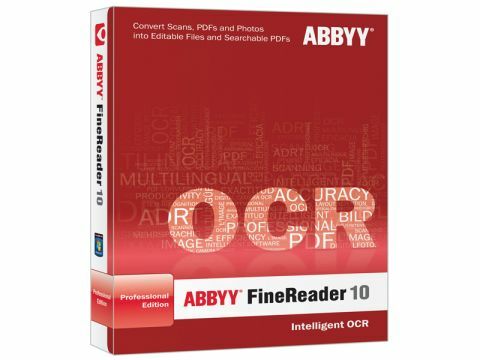 Abbyy FineReader 10 is an OCR tool that can be used to digitise a range of different types of document into a format that can be easily stored on disc, made searchable and even edited. Printed pages can be converted into Word documents, websites and much more in just a few easy steps. FineReader offers many ways to transform printed documents into files of various formats. The program can work with scans, digital photographs, PDFs and image files as a source, and can convert these into HTML documents, Excel and Word files, PDFs, image files and a number of other formats. The program's ability to extract text from a wide range of sources is impressive, with even complicated page layouts causing few problems. And should a section of text that originally appears in a margin or in a box be accidentally incorporated into the main body, it can be easily separated. Such manual tweaking is always on hand, but the accuracy of FineReader means that it's unlikely to be used all that often. Multi-page documents are automatically recognised as such, while the workspace of FineReader allows for intuitive progression through the OCR process. The bundled ScreenReader tool makes it possible to extract text from sources that you encounter that would otherwise remain uncopyable, and it's small additions like this that make FineReader stand out from the competition. The text recognition engine is not only fast but also extremely accurate, even when working with a relatively low-resolution photograph of text from a mobile phone. All but the smallest of text is recognised, with only a few errors creeping in here and there. Abbyy FineReader demonstrates that the days of rewriting long passages of text by hand can officially be consigned to the past.